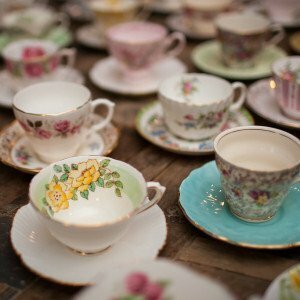 Below is just small selection of our hundreds of cups and saucers. 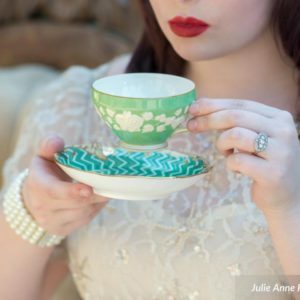 Possibly my favorite Tea cup! 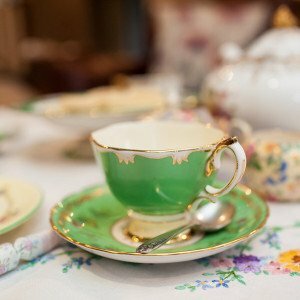 although that does change frequently! 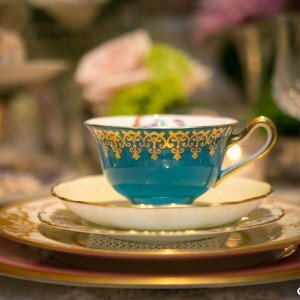 Deepest turquoise adorned in gold, whats not to love? 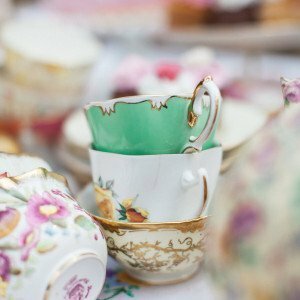 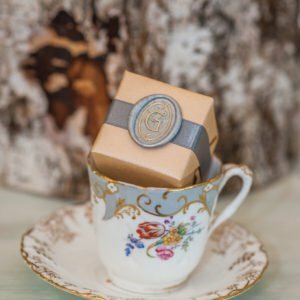 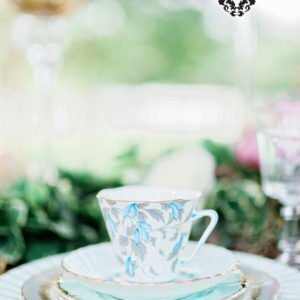 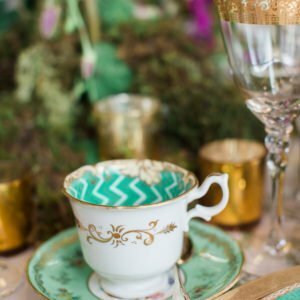 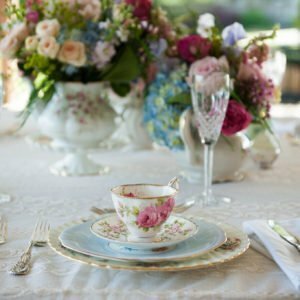 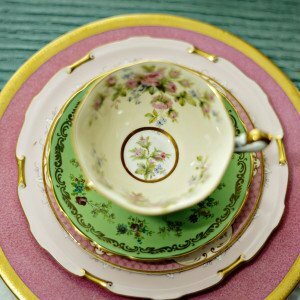 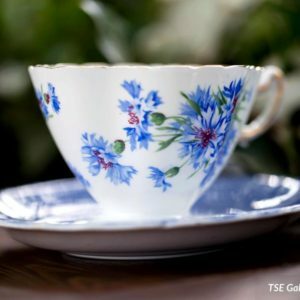 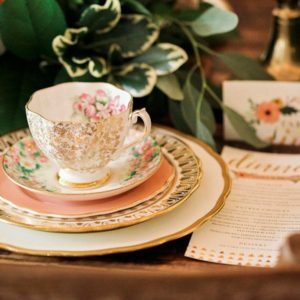 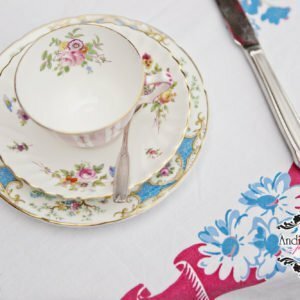 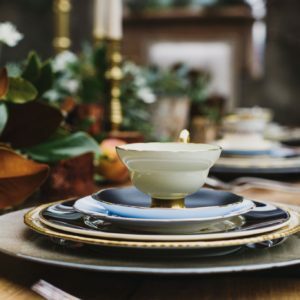 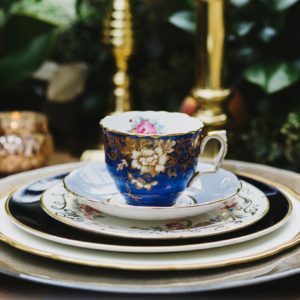 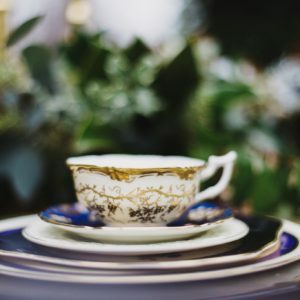 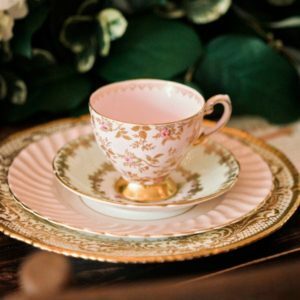 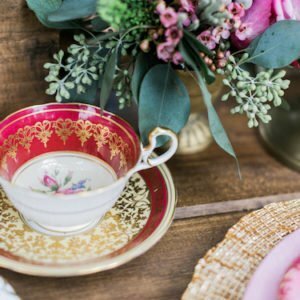 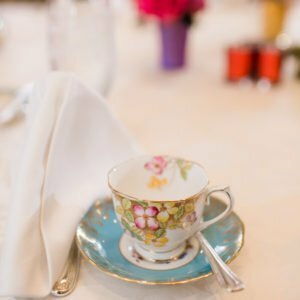 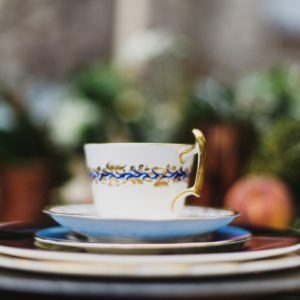 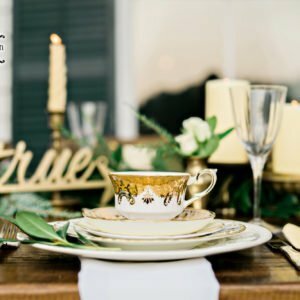 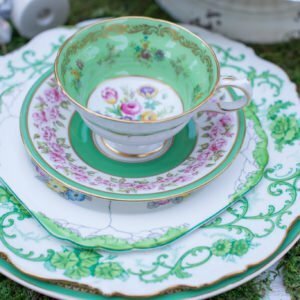 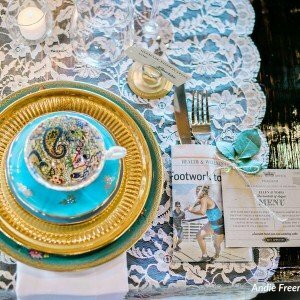 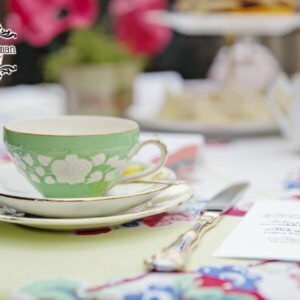 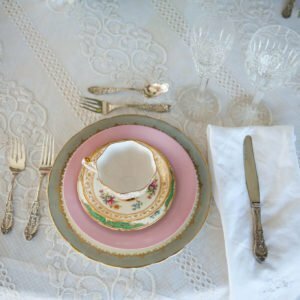 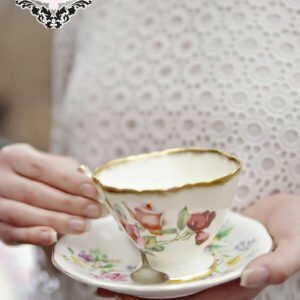 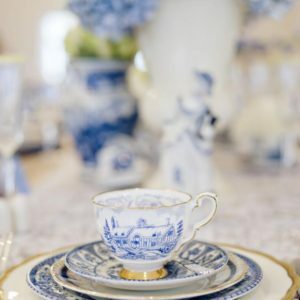 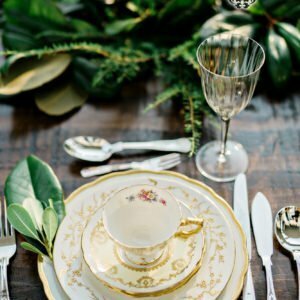 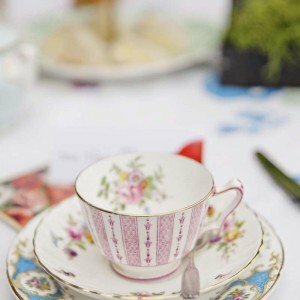 Our tea cups are lovely on their own but layered with our fine china place settings they simple make your tabletop design sing! 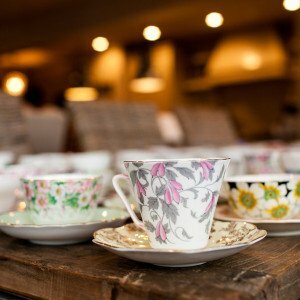 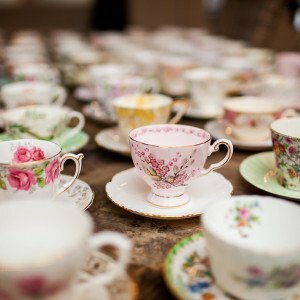 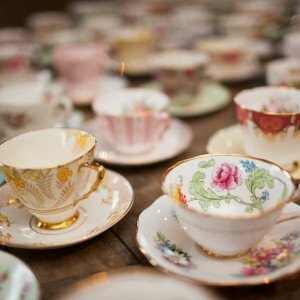 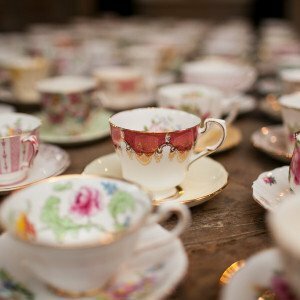 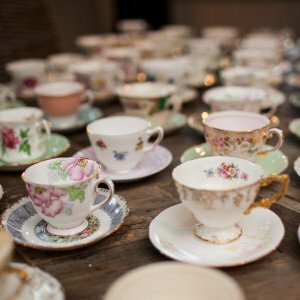 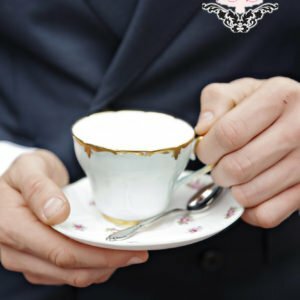 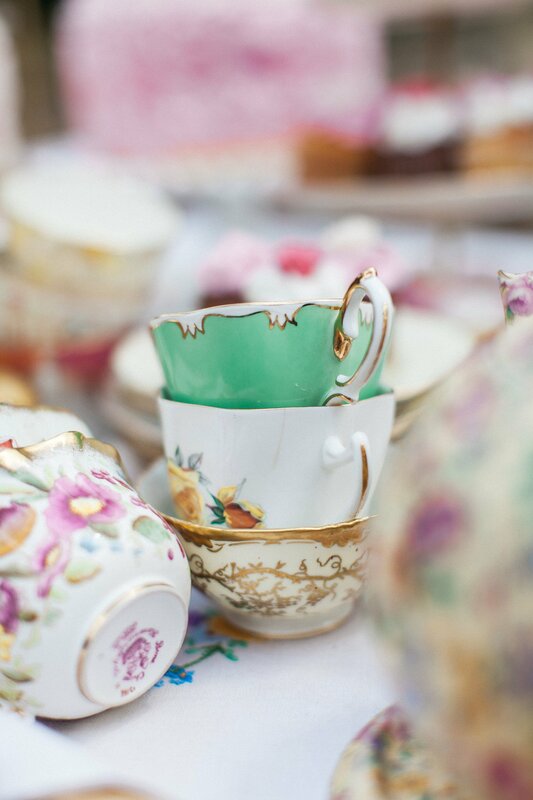 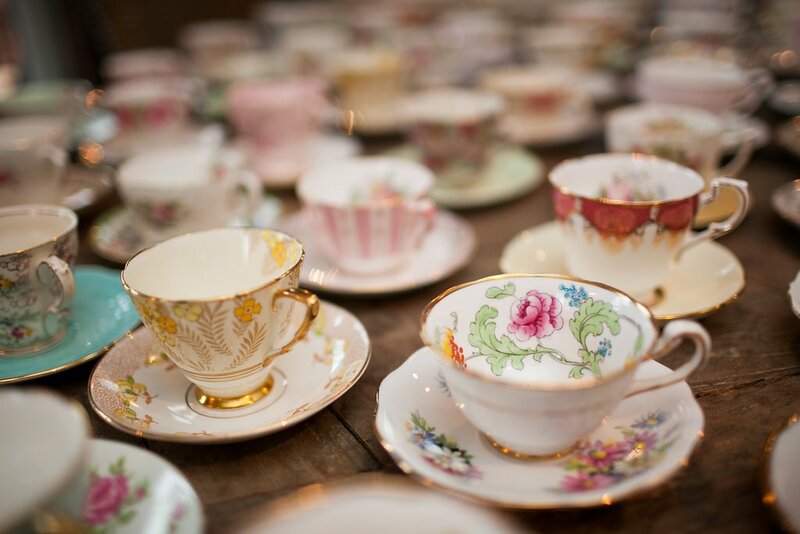 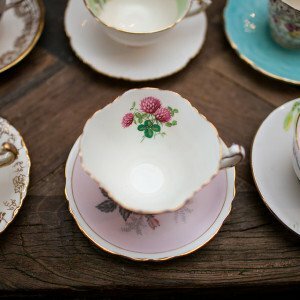 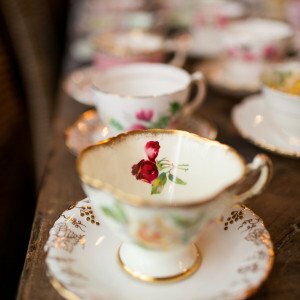 Endless rows of delicate tea cups are absolutely stunning at your gourmet coffee/tea station. 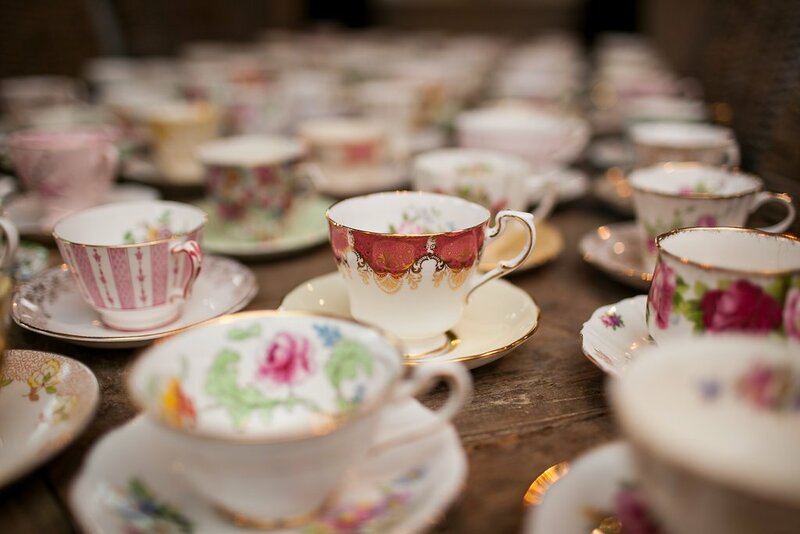 Each of our Tea cups is different ,some featuring delicate designs peeping out from inside.Others with stunning veiws from outside.But all are gorgeous. 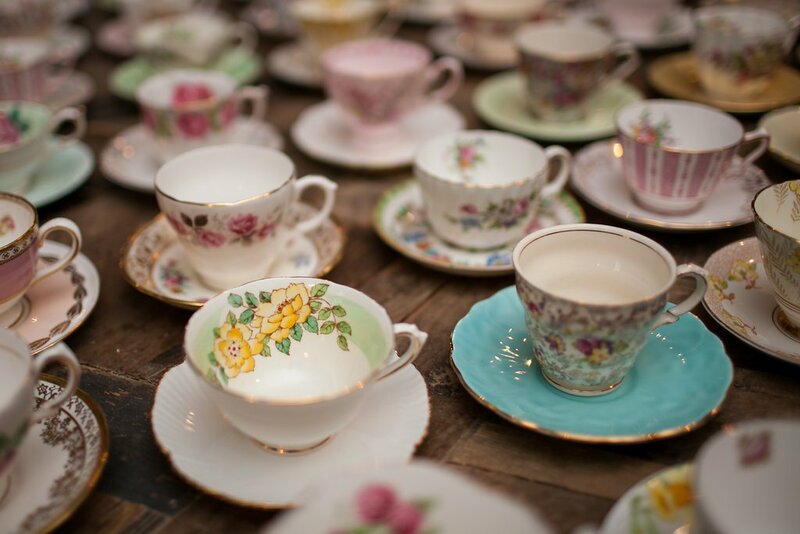 As far as the eye can see,all special all one of a kind. 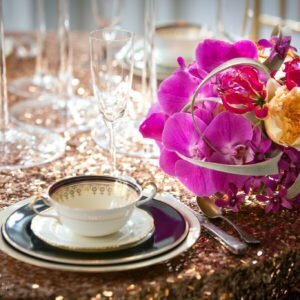 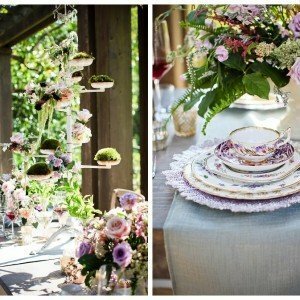 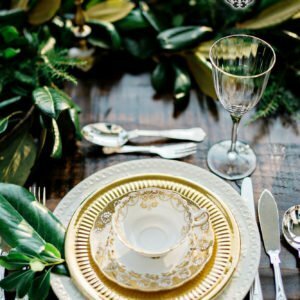 Doesnt your next event need something beautiful and memorable? 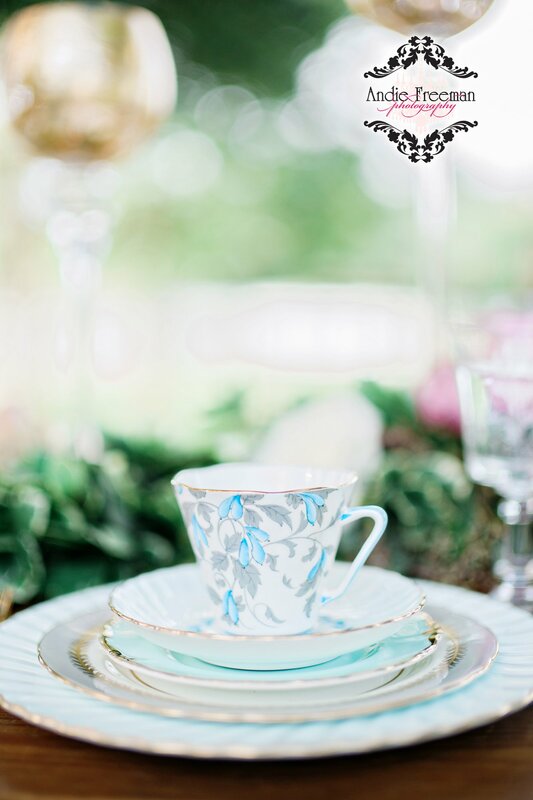 Stacked Tea cups of differing hues and designs is both pleasing to the eye and inviting to the tummy! 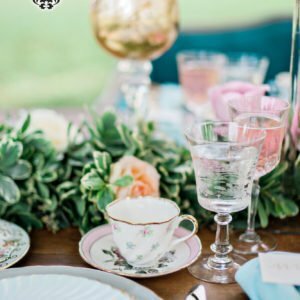 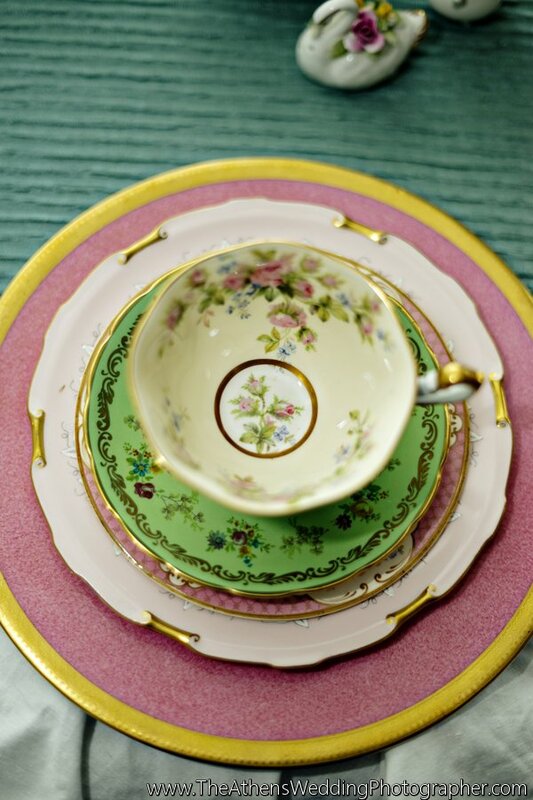 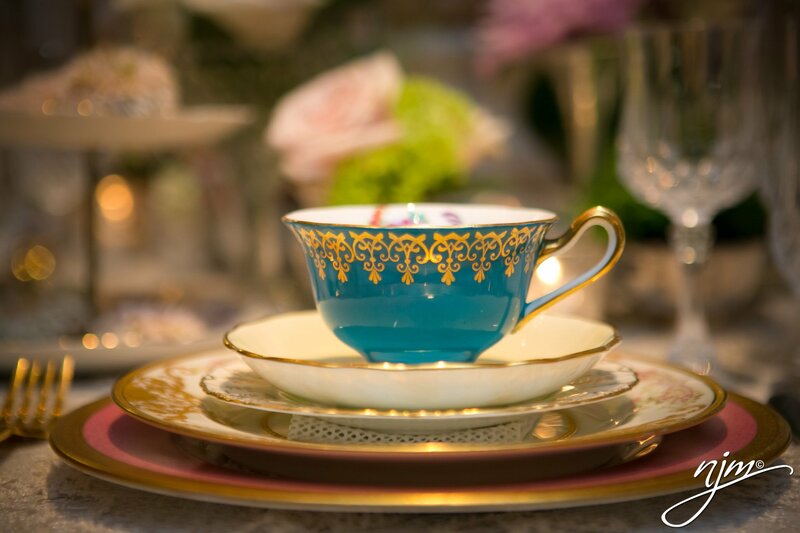 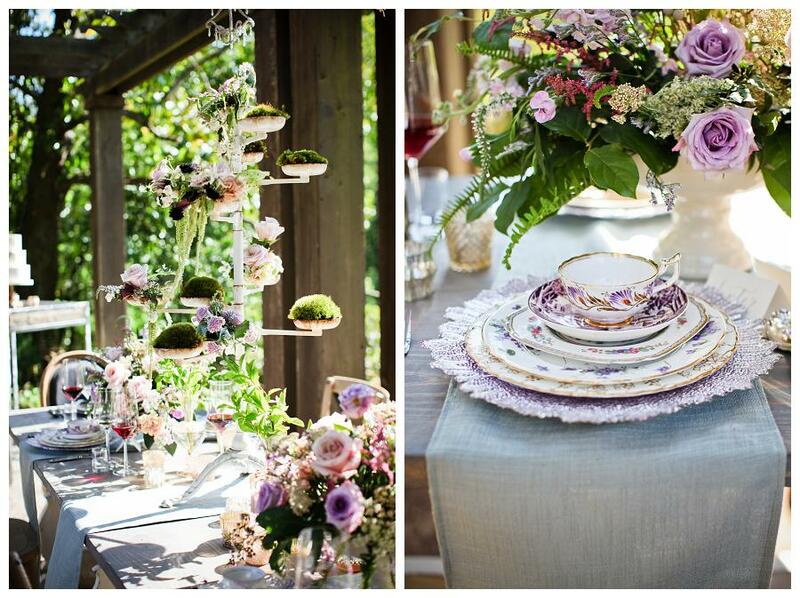 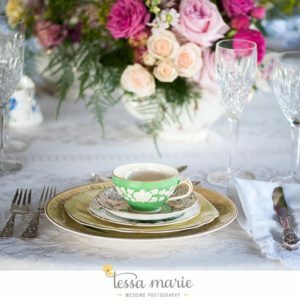 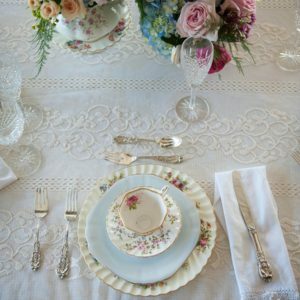 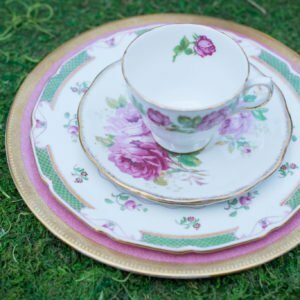 On a summers day what is more lovely than a place setting of fine china finished with a divine Tea cup and saucer?